In one of the most unlikely battles of copyright, the rights to Ingmar Bergman’s entire library of films has been at the center of an 8-year legal battle between Swedish media giant Svensk Filmindustri and a tiny U.S. company. A judge in Colorado has transferred all of Svensk’s film rights to the former owners of a multiplex cinema in the ski resort town of Aspen after Svensk refused to pay damages resulting from a renovation of the Isis Theater in the late 1990s. Svensk bought the theater, along with other American cinema multiplexes, as a way of expanding its base in North America. 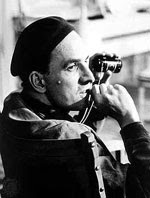 The judge has ruled that the entire Bergman library held by Svensk would now be officially owned by the small American company, which recently opened a website (http://www.swedishclassicfilms.com/), where it is selling copies of such Bergman classics as THE SEVENTH SEAL, THE VIRGIN SPRING, CRIES AND WHISPERS and FANNY AND ALEXANDER. According to the website, Isis Litigation now owns exclusive rights to the Bergman library, something that Svensk refuses to acknowledge. Isis has even been paid royalties from various DVD companies such as Janus Films, which distributes the Bergman classics. Svensk is currently facing a $2500 per day fine imposed by the judge, which has totaled more than $10 million. For its part, Svensk refuses to honor the Colorado judge’s decision and insists that its ownership is still intact. This is indeed a bizarre coda to the work of one of cinema’s great artists.